Pit bulls harmless puppies. Here we go again. The poor little wonderful pets everyone misunderstands. The police officer must be charged and jailed for kill them helpless dogs . Don't care who I piss off Pit bulls are not Pets. "A Texas woman died on Saturday after she was “attacked by her two pit bull terriers,” police said." SGG and Kauboy like this. Not on their own. Pits bulls have been killing and disfiguring people for years . They are a very flawed breed. They serve no use. ekim, dwight55, T-Man 1066 and 2 others like this. Human's are a pretty flawed breed (species) as well. 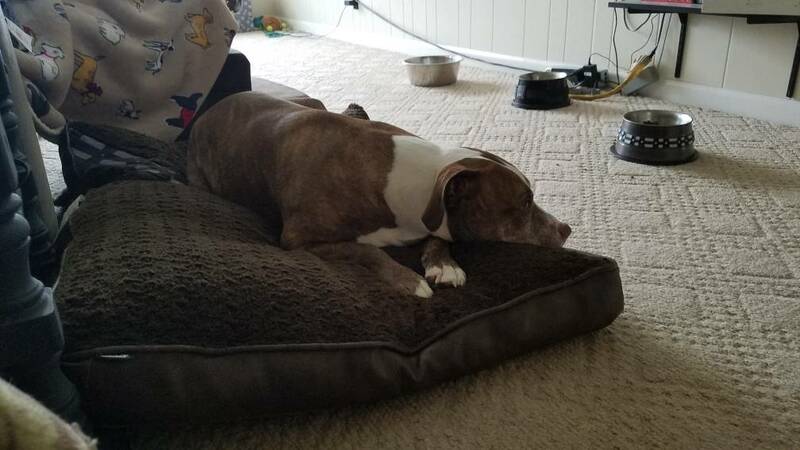 I have no dog in the fight (pun intended), as I have never owned a Pit, but the story you linked is missing a lot of information. I think dogs, much like the aforementioned humans, are often as influenced by environment as genetics. SGG, Michael_Js and Mule13 like this. Smitty is mostly correct regarding Pit Bulls. Mostly because....most people have no idea how to be a true dog owner. The American Pit Bull Terrier needs an Alpha Owner not someone who thinks that dogs have human instincts because they don't. They have dog instincts. If the owner does not achieve Pack Leader Status, the Pit Bull is destined to have problems. Do not get a Pit Bull unless you have the proper dog training credentials AND you are sure that you can be the Alpha of your pack. Hell, I wouldn't get a Pit Bull unless I was single because any inconsistency in training, discipline and daily activity can mess the Pit Bull up. You may be able to get away with inconsistencies with other breeds but not the Pit Bull, the Belgian Malinois and a few other breeds. stevekozak, Denton, Chiefster23 and 10 others like this. The thing people don't know about dogs is 70-80% of dog breeds didn't even exist 90-100 years ago. What people forget or never give a thought to and far too often just ignore, aside from being animals, is dogs are breed and crossbred to achieve a desired attribute. If you breed enough of the smallest pups of the litter and keep doing so, you will eventually end up with a dog that will fit in your shirt pocket. If you bred the dogs that like to swim and cross bred them with dogs that have an interest in birds with dogs that loyaley obey, you'll get a fine bird dog. I think you all can see where this is going. They are just animals and can, will and do default to their breeding, it's there nature. It's not the dogs fault regardless of how well or bad it was raised, it's the stupid humans fault. dwight55 and Michael_Js like this. Denton, stevekozak, Slippy and 2 others like this. I do take special care, because I know my pit is a lover, but she is very capable of hurting something or someone quickly and powerfully. I love her, and would get another in the future. stevekozak, Slippy and RedLion like this.